Everyone is invited! 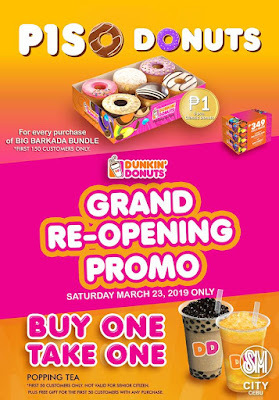 Join the grand celebration of Dunkin' Donuts SM Cebu as they reopen at the Upper Ground Level, Main Mall, SM City Cebu on March 23, 2019! 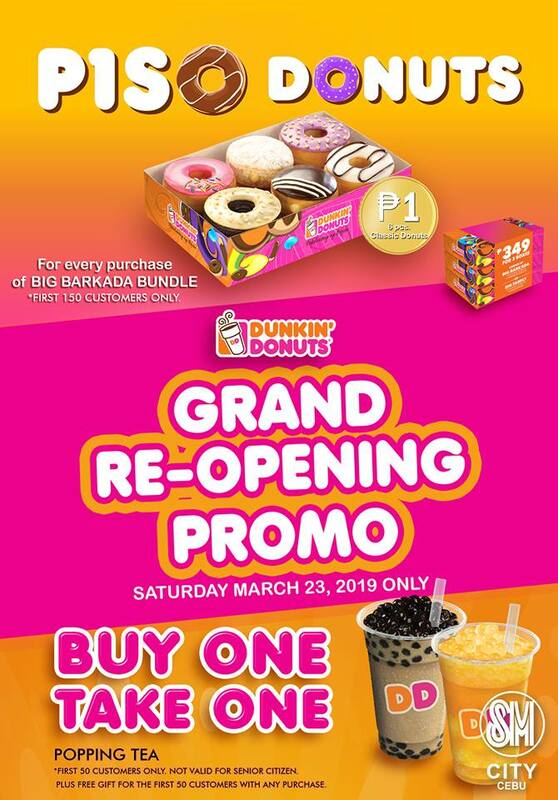 For every purchase of BIG BARKADA BUNDLE, just add P1 and get 6pcs of Classic Donuts -- open to the first 150 customers! PLUS! the first 50 customers can get to enjoy their Buy 1, Take 1 Promo for their new variety of Popping Tea -- Okinawa Milk Tea!